Segregation: A thing of the past? Note: This is an unedited analysis of a Sacramento Bee article that was posted as a project for an introduction to newswriting and reporting class at Sac City College in 2011. It does not represent my current work as a journalist. On the front page of The Sacramento Bee on Feb. 17 a story by Melody Gutierrez speaks of something long thought abolished: Segregation. Five new publicly funded charter schools will open in Calif. over the next five years. 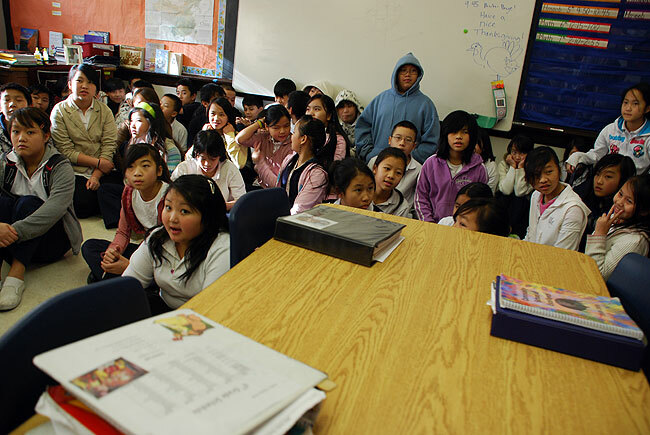 Separating African-American, Latino and Hmong children from their fellow students would allow educators to focus on the specific needs of these groups who, on average have lower test scores and higher dropout rates than whites and some other Asian groups. The act of segregating students at these charter schools is legal as long as the school is open to all races and ethnicities. A professor at UCLA, Gary Orfield opposes these types of schools because he says, “To isolate these kids from other races isn’t preparing them for the future.” Orfield also told The Bee that he’d like to see more desegregating of schools in neighborhoods as opposed to further adding to the problem. Margaret Fortune, the person responsible for getting the five charter schools approved by the Sacramento County Board of Education doesn’t believe it is a form of segregation because she says parents can choose whether to send their children to these types of schools. Fortune describes the charters as being similar to specialized academic programs, like technology and health services and says it’s about preparing low-achieving students for their college careers. Though the lower scores and the higher drop out rates of these students corroborates in many research and study reports, is it justification enough to deny certain groups the diversity and cultural awareness that racially mixed schools offer? If children don’t learn about and accept the cultures, values, morals and beliefs of other ethnicities, the nation will never truly be free from racial tension. There are better ways of providing extra help to under-performing students than to throw them into a school away from their peers. It seems the educational ship is sinking and what we really should focus on is reforming and improving the system instead of just trying to plug its holes.